To say that Alberto Michan’s trip to HITS-on the-Hudson with his four-legged partner, Redmond, was a success would be an understatement. 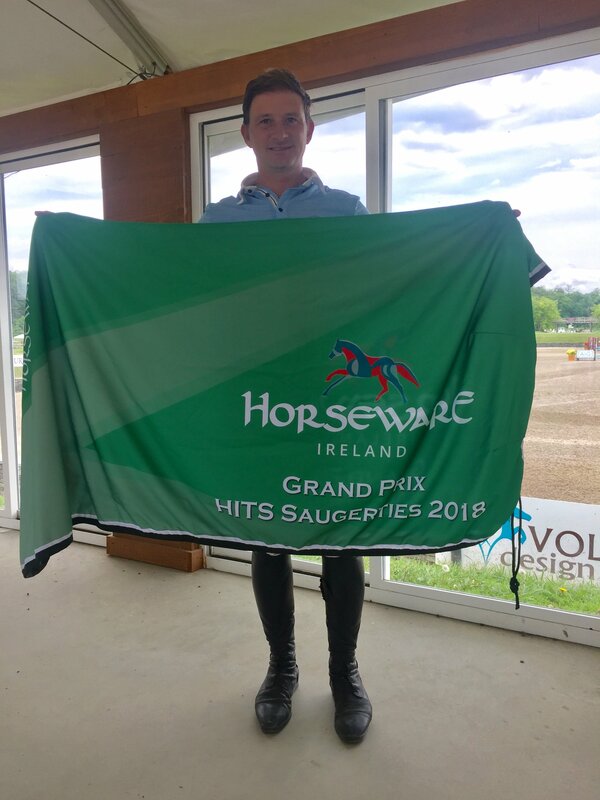 Michan and Redmondcaptured a number of Top Five placings in the featured jumper classes at HITS Saugerties, including a first place finish in the $50,000 Horseware Ireland Grand Prix at the end of Week II. Michan says it is clear that Redmond tries hard to perform well and is often successful in finishing the course, as a fault-free round. 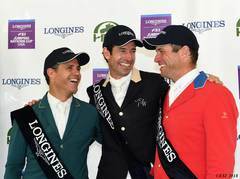 "He is a super nice horse, he is so brave, and he always tries to do away a good performance and last week we had a very, very good week together," said Michan. Having a horse that a bond has been built with, such as the one between Michan and Redmond, really influences the performance and success, as well as makes the sport more enjoyable. One of the many improvements made to the HITS-on-the-Hudson Show Grounds this year was installing new modernized footing into several of the rings, including the Grand Prix Stadium. “I think that many of the professionals who show at HITS [Saugerties], including myself, are very happy about the new footing,” Michan exclaimed. You can expect to see Michan and Redmond in the show ring throughout the summer. "I’ll try to focus on showing him [Redmond] in the classes that he can do well, like the National Grand Prix," Michan continued. "Maybe we will do some 2- and 3-Star FEI classes but, hopefully this year we will be able to find a nice owner for him. That is the plan. We’ll keep working with him and showing him here in the shows and I hope that we keep up the good results." 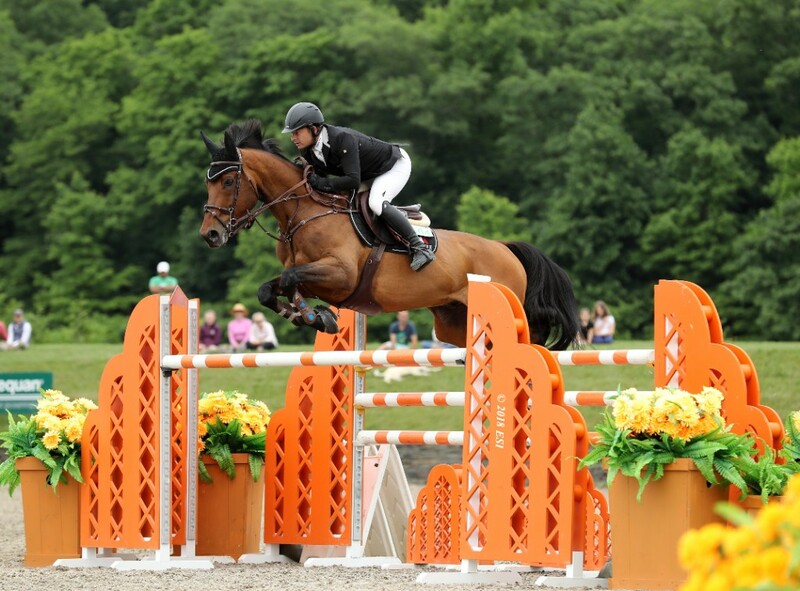 HITS welcomes equestrians back to Saugerties for more show jumping competition on July 18. Exhibitors and spectators can look forward to a $50,000 Grand Prix EVERY Week, $15,000 Jr/A-O/Am Jumper Classics Weeks IV and V, $7,500 Marshall & Sterling Child/Adult Jumper Classic Weeks IV and VIII, and a FEI CSI5* Division offered during Week VIII. All leading up to the HITS Championship featuring the Saugerties $500,000 Grand Prix CSI5* and the Black Barn $250,000 Jr/A-O/Am Jumper Prix with over $1.5 Million in Prize Money being awarded throughout the week! For more information on HITS Saugerties of to view a full listing of featured events taking place, visit HitsShows.com.